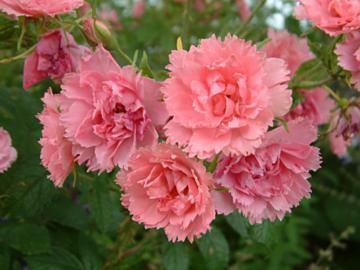 Tight terminal clusters of bright pink flowers with frilled petal edges giving the flowers a Carnation-like appearance. Tends to have a rather lanky habit. From softwood or hardwood cuttings. Branch sport of Rosa 'F.J. Grootendorst'.